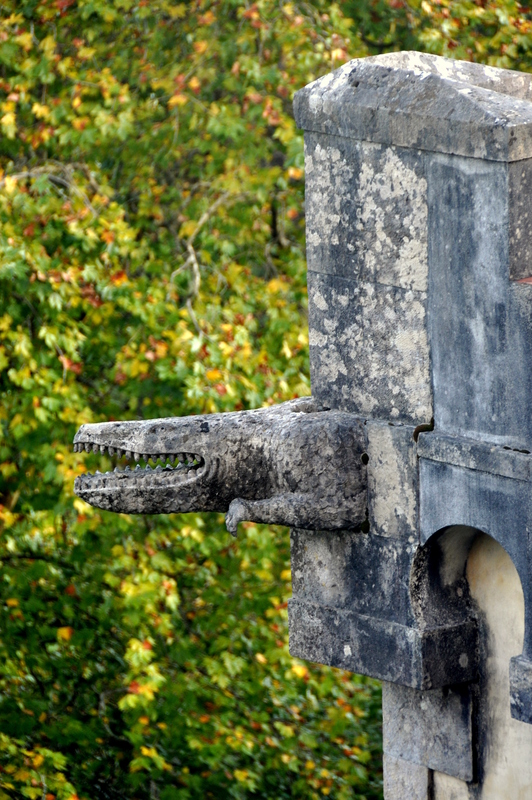 The Setais Hotel, Sintra’s best lodging, features a backyard courtyard that offers this view of Sintra’s star attraction, fanciful Pena Palace. Note also the leaves, which were just starting to turn during my visit in mid-September. Setais Hotel itself. Beats the pants off of any hostel. 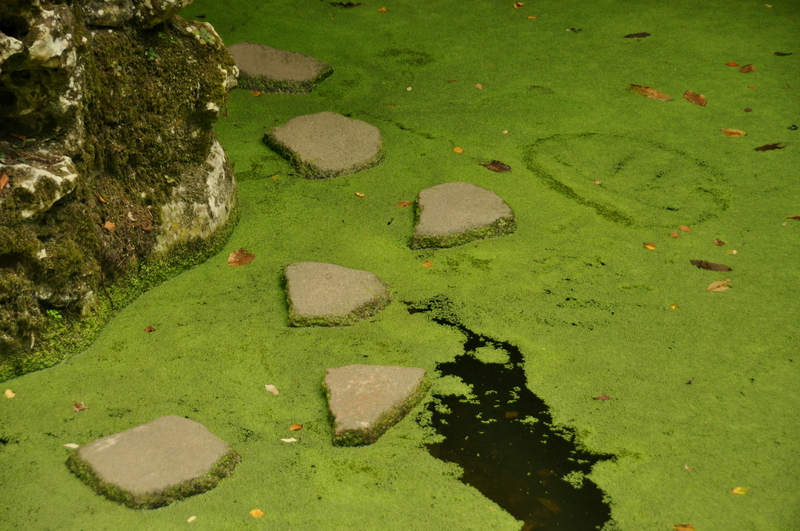 The first point of interest that I visited was the one that I knew the least about prior to my trip. 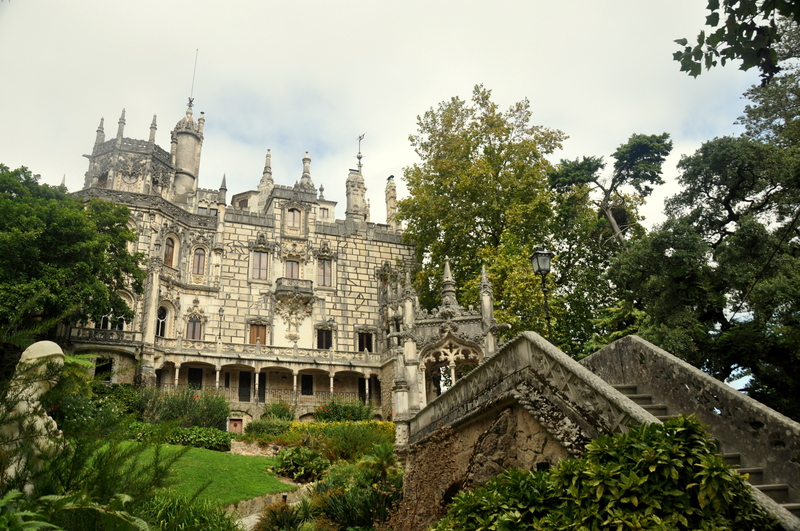 My Lisbon concierge recommended that I check out the Quinta da Regaleira, pictured above. 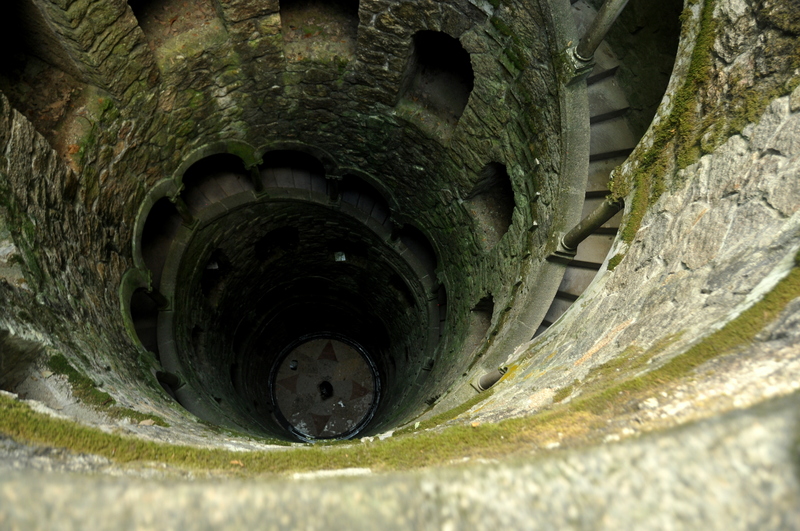 …and this subterranean well, like something out of a Guillermo del Toro movie. 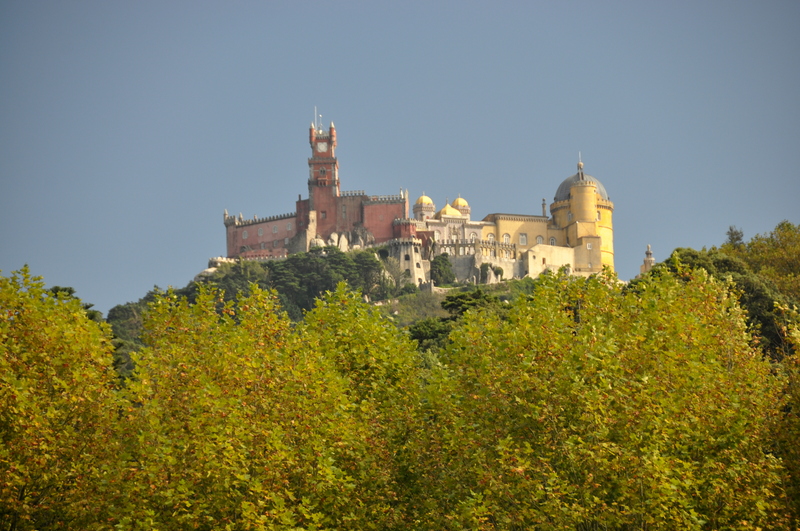 A pleasant uphill hike from the Quinta leads to the candy-colored Pena Palace. A visit here can occupy an entire day, but I found the late afternoon light especially conducive to photography. 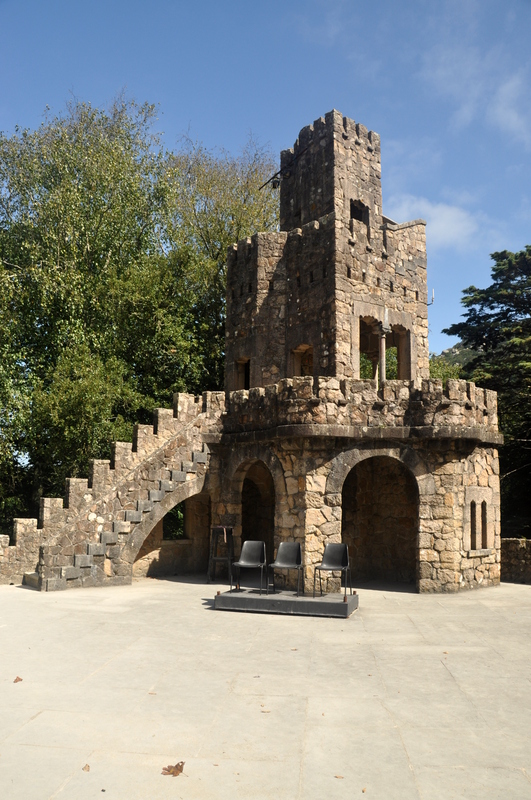 The sprawling gardens below the palace feature statuary, bridges, and man-made islands such as that seen in the picture above. 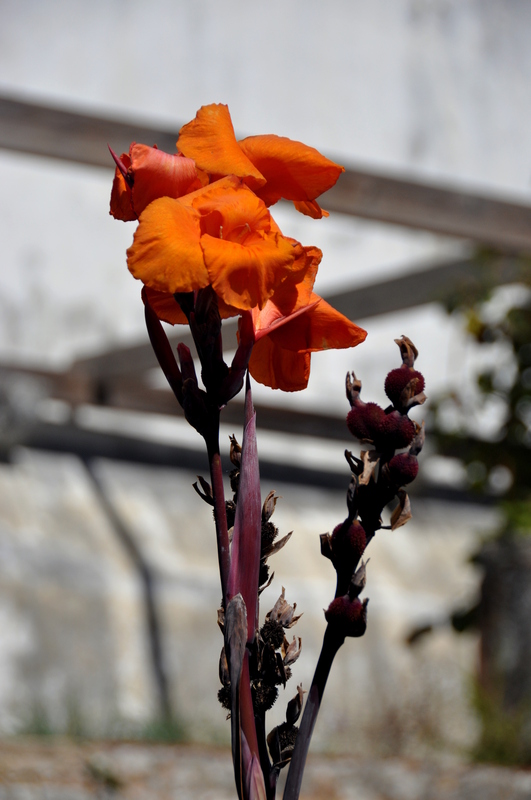 Incidentally, there was no photo editing needed for the striking color contrast. 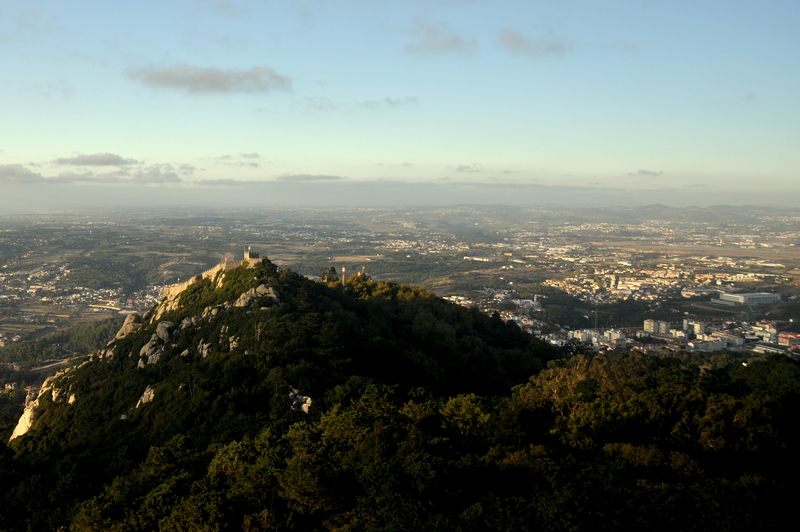 …and views overlooking Sintra town and surrounding countryside. 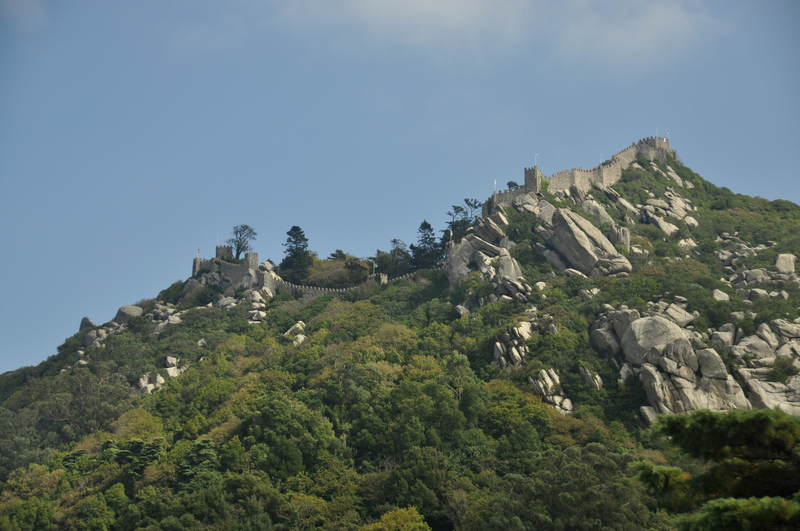 The fortifications on the left belong to a Moorish fortress, which I did not have time to visit. 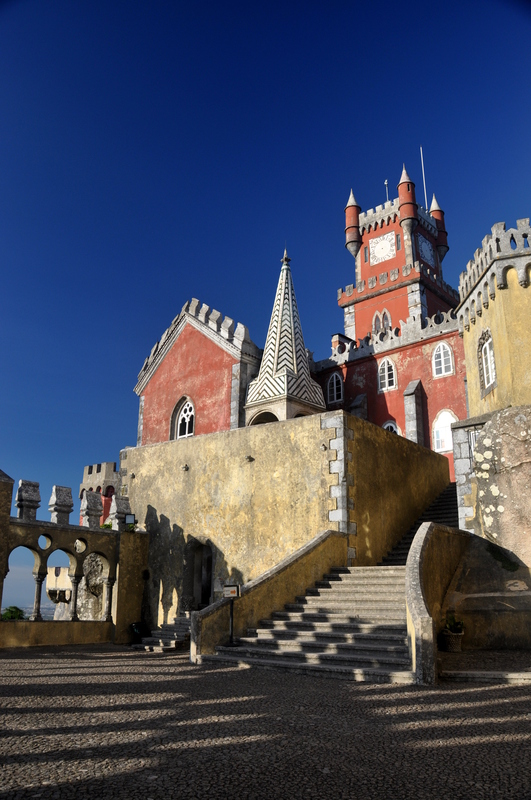 El Palácio Nacional de Sintra, the National Palace of Sintra, was first constructed during the Muslim occupation of the Iberian Peninsula, but was later occupied by Portuguese royalty, who incorporated Manueline design elements to their renovation of an otherwise-Moorish building. 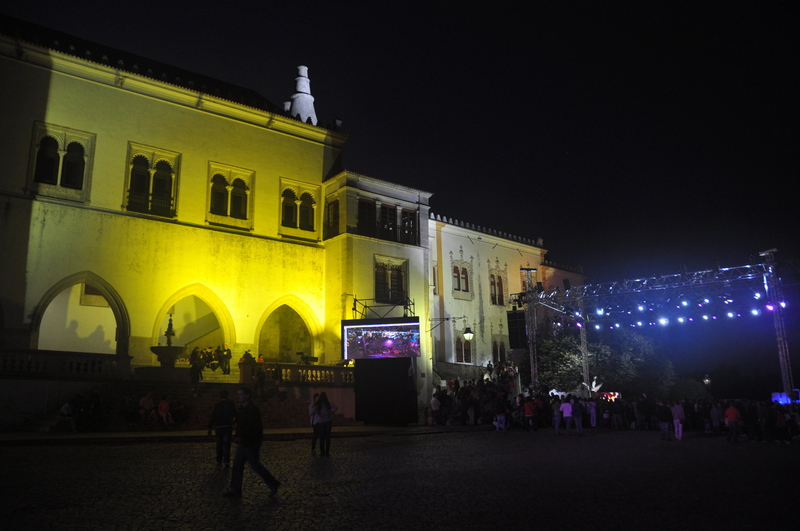 The courtyard in front of the palace is a popular gathering place, and often hosts special events. 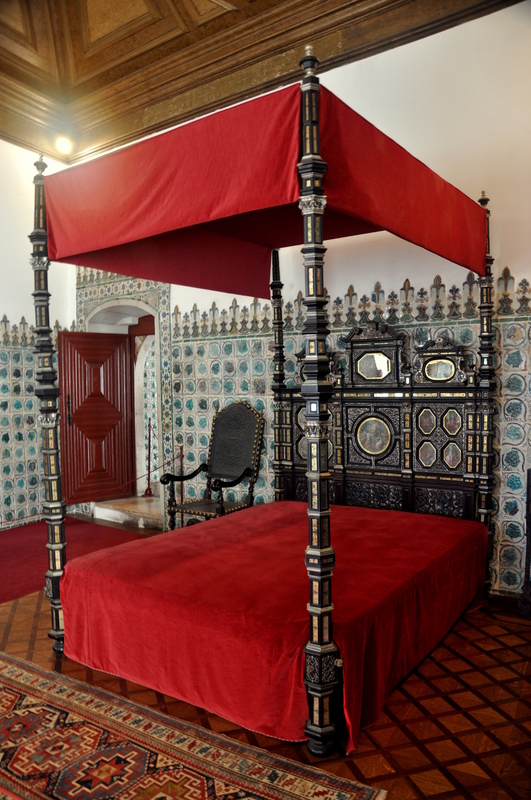 My self-guided tour of the State Apartments led me through the bedchambers of King Sebastian. 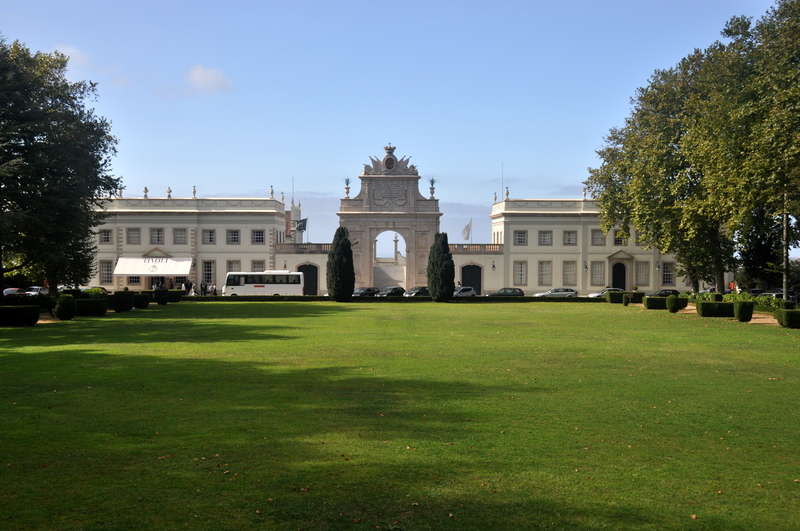 The gardens in the rear of the National Palace were rather small, but featured a display of late summer flowers. 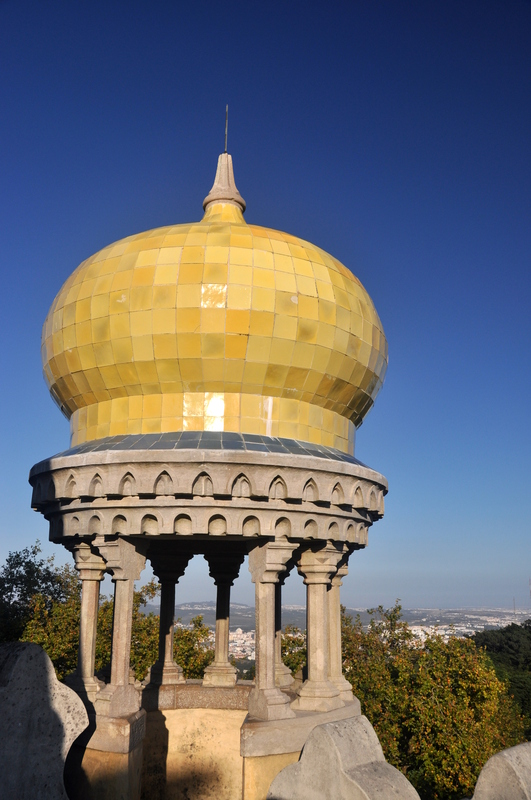 I spent two days in Sintra and could easily have spent a third. Go! 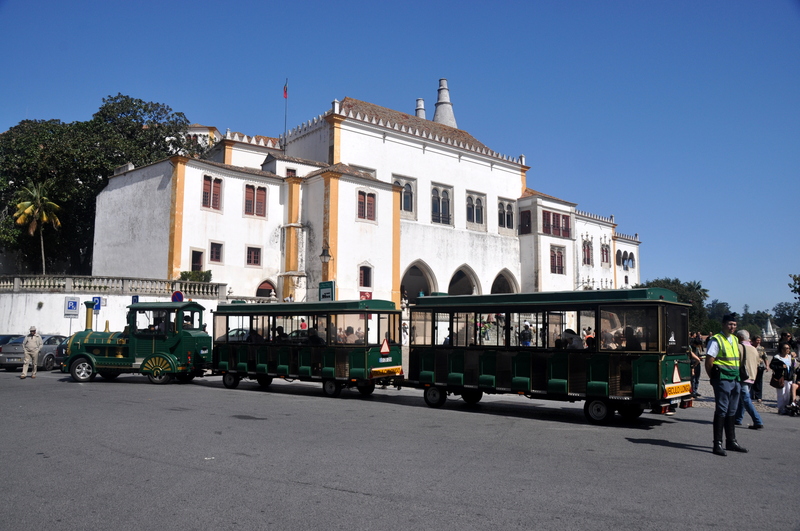 There is a possibility that I will visit Portugal next summer, so your post was especially interesting. 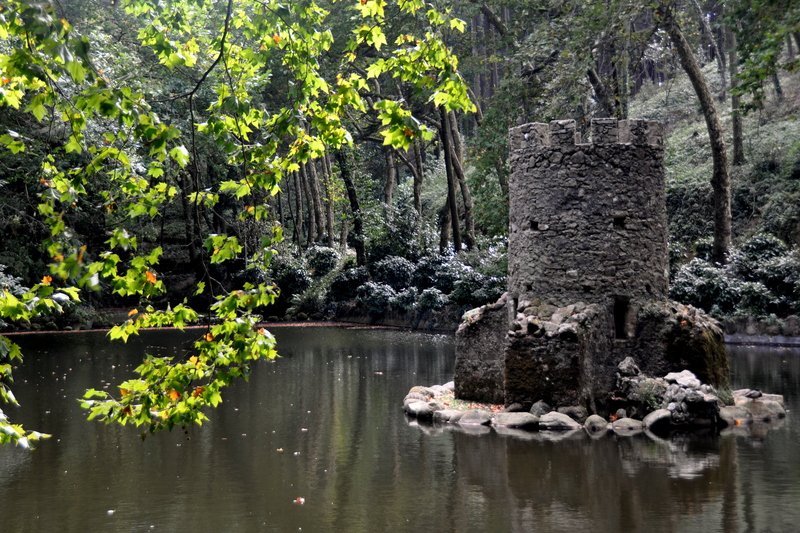 I will definitely put Sintra on my list of places to visit. De nada! I hope you can make it to Portugal, which I liked even more than neighboring Spain!